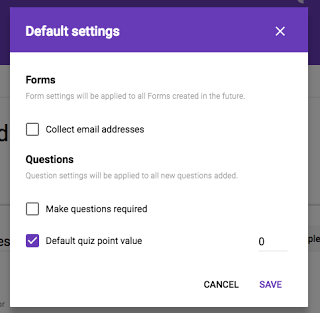 Google Forms makes it easy to collect information, plan events, solicit feedback, and more. Today, we’re adding new features and using machine learning to make Forms work better for your business. Read on for more details. Oftentimes, when you use Forms, you’re not collecting data from your colleagues you’re gathering information from third parties, customers, and more. To guarantee you get the information you need, we’ll now allow users outside of your domain to upload files as responses to your questions—provided both of your organizations allow cross-domain sharing in Google Drive. Based on usage patterns, total uploads to new forms will be capped at 1GB, with an option to increase that limit to 1TB. Uploads to existing forms will be capped at 1TB. 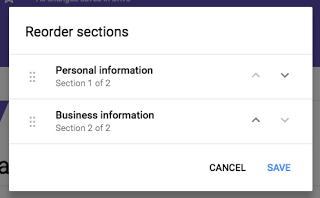 If you use similar settings across all of your forms, you can now save time by assigning default settings to apply to any new forms you create. For instance, you can choose to always collect email addresses, make questions required every time, and assign default quiz point values. 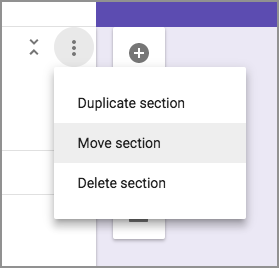 Sometimes a question is more complex than multiple choice or checkbox answers alone can satisfy—you need to be able to select multiple options from multiple categories. 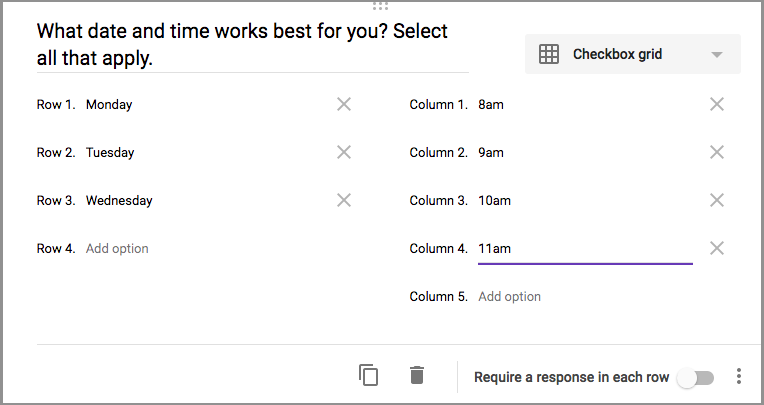 Going forward, you can use the “Checkbox grid” question type to get the answers you need, like dates and times that work for an upcoming meeting. We heard you loud and clear—you need an easy way to organize (and reorganize) your questions in Forms. In response to your feedback, we’re now making it possible to reorder whole sections quickly and easily. Create better forms, more quickly, with these new and intelligent features in Forms. We’re making it easier for your employees to work on the go—and without Internet access—in Google Sheets on the web. With this launch, people can now insert images into Sheets even when they’re not online, provided they’re working in Chrome and have turned on offline access. Those images will be synced once the person gets back online. 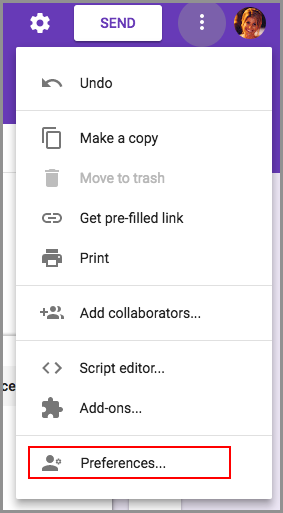 Try it out in Google Sheets today. To improve overall performance, we’re moving from using hash marks (#) to using the HTML5 History API in Google Drive. This means that moving forward, Google Drive folder and page URLs will no longer include hash marks (for example, https://drive.google.com/drive/#folders/ABC will become https://drive.google.com/drive/folders/ABC and https://drive.google.com/drive/#starred will become https://drive.google.com/drive/starred). Links to Drive folder and page URLs containing hash marks will continue to work indefinitely, but this change could impact any Google Apps admins or employees who parse Drive folder or page URLs specifically for the “#” symbol or who use Chrome extensions that employ the old-style URLs for Drive navigation. This change is currently live for Rapid release domains; the rollout to Scheduled release domains is planned for June 9th.